US intelligence agencies have warned against the persistent worldwide threat posed by the terror groups and Al Qaeda. During a Senate hearing, Director of National Intelligence Daniel R. Coats said ISIS still commands thousands of fighters in Iraq and Syria, and it maintains eight branches, more than a dozen networks, and thousands of dispersed supporters around the world, despite significant leadership and territorial losses. The group will exploit any reduction in counter-terror (CT) pressure to strengthen its clandestine presence and accelerate rebuilding key capabilities, such as media production and external operations, he added. “ISIS very likely will continue to pursue external attacks from Iraq and Syria against regional and Western adversaries, including the United States”, warned the Director of US National Intelligence. 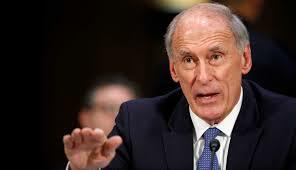 In the statement he made before the Senate Intelligence Committee, Daniel Coats said ISIS is perpetrating attacks in Iraq and Syria to undermine stabilization efforts and retaliate against its enemies, exploiting sectarian tensions in both countries. In his assessment of Al-Qaeda threat, he said senior leaders of this terror group are strengthening the network’s global command structure and continuing to encourage attacks against the West, although most al-Qaeda affiliates’ attacks to date have been small scale and limited to their regional areas. “We expect that al-Qaeda’s global network will remain a CT challenge for the United States and its allies during the next year”, affirmed Mr. Daniel, noting that all Al-Qaeda affiliates are involved in insurgencies in the MENA region and maintain safe havens, resources, and the intent to strike local and regional US interests in Africa, the Middle East, and South Asia.